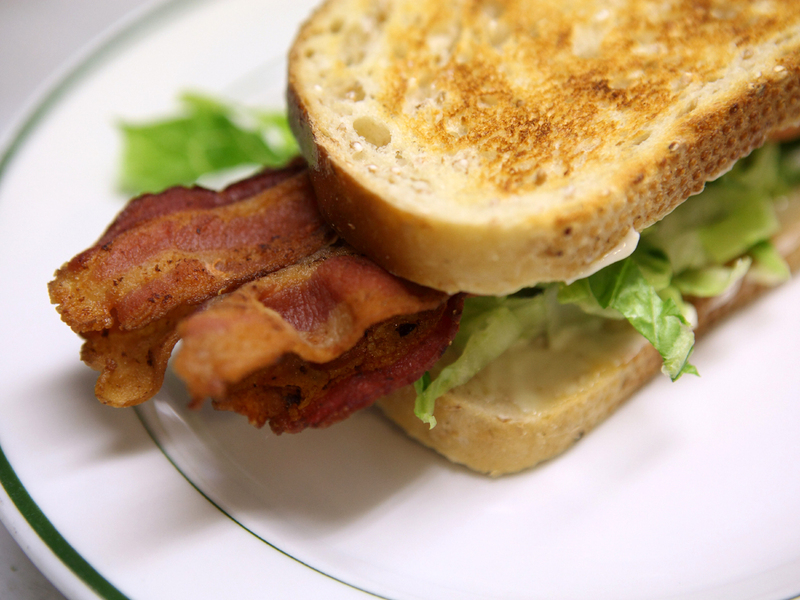 (CBS News) BLTs next year might have to forego the B, according to a British trade group. Britain's National Pig Association, "the voice of the British pig industry," warned recently that a global shortage of bacon and pork "is now unavoidable" because of shrinking herds. The trade group reported Thursday that annual pig production for Europe's main pig producers fell across the board between 2011 and 2012, a trend that "is being mirrored around the world." The group tied the decline to increased feed costs, an effect of poor harvests for corn and soybeans. Even though the pig association issued its dire prediction as part of a campaign to get British supermarkets to pay pig farmers more for their products, the possibility of a pork shortage received plenty of coverage in American news outlets. But the projected decline isn't news to the U.S. Department of Agriculture. In its monthly outlook report (PDF) from August, the department linked a reduction next year in the United States to this year's drought in the Midwest. The government expects corn and soybean meal prices to go up and hog producers to cut production in an attempt to control losses in their operating costs. Considering those factors, the USDA forecasted next year's pork production at 23 billion pounds, a decrease of about 1.3 percent from this year's estimated total. That breaks down to Americans consuming slightly more than 45 pounds of pork per capita in 2013, a reduction of more than 1 percent from this year's estimates. The decline in production could be worse in Europe. On Wednesday, British Pig Executive Mick Sloyan told European retailers that pork losses could be as high 10 percent in the latter half of 2013, which could double pork prices, according to the U.K. pig association.